A document has being prepared by the National Irish Safety Organisation and Northern Ireland Safety Group to help organisations understand the categorisation of Safety Awards. 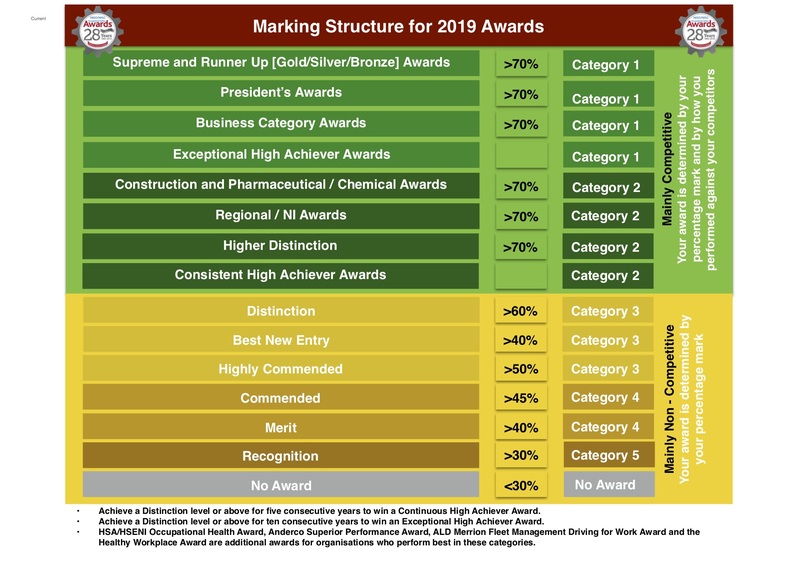 NISO/NISG has published the marking system that applies to each category of award and explain the benchmarking and competitive nature of the Awards process. Finally, we give an example of the categories of awards open to previous entrants and new entrants.